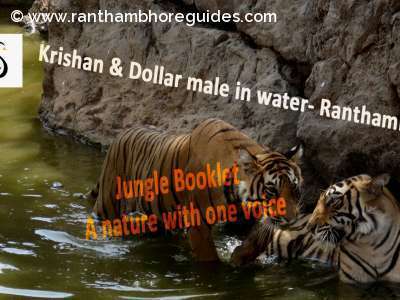 The Ranthambhore National Park, opens from 1’st October to 30 June, every year for tourists. There are total 10 zones for safari purpose. Zones 01 to 05 are considered to be of high preference as this has been the oldest part of park. Of course zone 03 is the most perfect habitat for tigers, with three big lakes. Except these zones, rest 06 to 10 zones, they open in rainy season also. So that if someone comes then, they should be able to see the park. This monsoon period is July, August & September. If you are wildlife Photographer then March to June will be good time for you. If you are General tourist and aim is just for tiger sightings then also November to June will be good period. But try to avoid busy holidays vacations period. But we do understand that holidays are needed for travelling. The busiest periods for Ranthambhore are Diwali, Christmas & New Year and Holi festival. Lot of tourists come to Ramthambhore. For this period I suggest that safari to be booked in advance. Because in current system you will get the tickets but this process make delay & you are not able to spend good time in the park. Sometimes vehicles enter one hour delay inside the park , which reduces sightings chances by 50%. The most important thing about Ranthambhore is planning. You should pre plan things in advance. As all of us know that there are limited numbers of vehicles allowed in any National Park. This is done to minimize pressure on animals. Otherwise they will get disturb & leave that place. 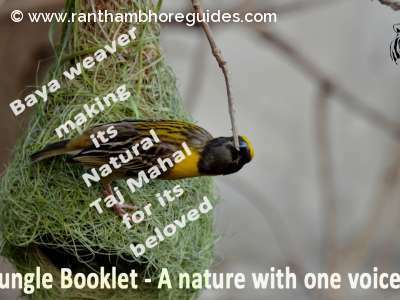 If you want to enjoy Ranthambhore then two nights stay is recommended. In two nights stay, you will get three or four safari to the park. This make strong chances for good Tiger sightings. In summer, a chance for sightings increases by 20 %. In Ranthambhore , If you don’t plan things 03 months in advance then, your safaris will be more expensive. Now a days there are two type of safari as per costing is concerned. The one is Normal Pricing & the other is Premium safari. There are two safaris in a day. One is morning & other is evening. The morning safari starts between 06 to 07 Am & lasts for 03:30 hrs. The evening, safari start in the afternoon & ends at evening around sunset. The duration of both safaris is same. The safari timing keeps on changing as per sunrise & sunset. There are only 15 jeeps (06 seated open jeep) in 01 to 05 zones. Each zone has 03 jeeps which are booked 90 days prior to date of visit. Similarly, there are 15 Canters ( 20 seated open bus).Once the booking is open then, safari tickets becomes subject to availability in these prime zones. Once the advance quota is full then only premium safaris are possible for jeeps in 01 to 05 zones which are very expensive. However, Canter safari is possible. For general traveler, zones are more important than type of vehicle. Suppose if jeeps are not available in any date then Canter in good zone, will be good option. Few safaris by canter in prime zones & few safaris by jeeps in 06 to 10 zones will be good for safari. The other important thing is the good guide. A experienced guide will enhance your safari experience by 25 %. Especially in zones 06 to 10 zones senior experienced guide is highly recommended. There are few jeeps in Tatkal (current) quota for 01 to 05 zones. In this system, you will get jeep for safari by paying Tatkal (current) fee to the department. The no of jeeps in this quota is 10. The duration of this safari is same 03:30 hours. You can select zone of your choice in this system. Can be confirmed one day prior to the visit. Half Day: In this system 05 jeeps for morning & evenings safaris are allotted. For this you need to get it permit by giving application. The duration of this safari is 06:00 hours. Morning safari will start at normal timing & can stay up to 12:00 afternoon. This is zone free. You can go to any zone in this system. Full day: Few jeeps are also there in this category. You can stay inside the park whole day as per timing. This is zone free. The process is same by application for getting permit. The premium safari is good when you have less time to see things.